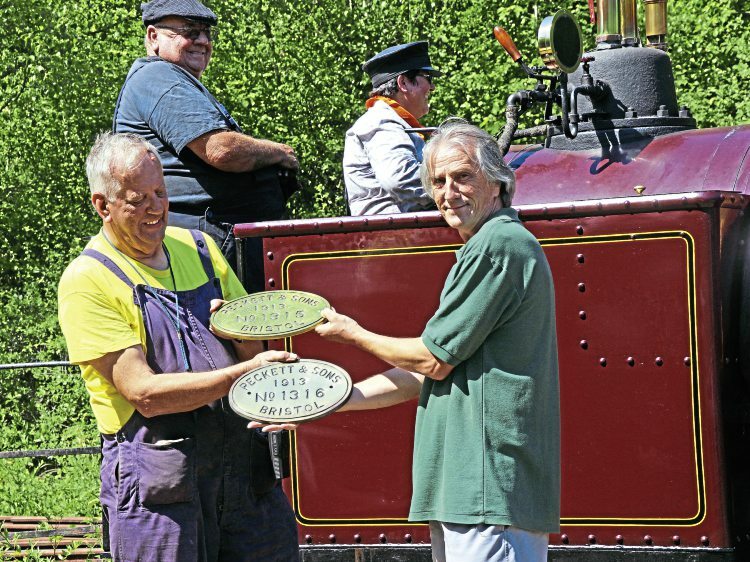 A PRESERVED steam locomotive worksplate error that went undetected for decades has been corrected at a small ceremony during a rail gala at Amberley Museum in West Sussex on July 14-15. Former ironstone quarry 0-6-0ST Scaldwell had been carrying the wrong worksplate throughout its 35 years at Amberley and possibly before, but the error was spotted only when ownership of the engine was transferred to the Southwold Railway Trust in Suffolk last year. The 3ft-gauge engine was built by Peckett & Sons of Bristol in 1913 as works No. 1316, and spent its entire working life at Staveley Minerals’ ironstone quarry in Scaldwell, Northants. The previous Peckett built, works No. 1315, was a near identical locomotive, and it too saw service at the quarry, carrying the name Lamport. Both were withdrawn on the closure of the quarry in 1962. Lamport was cut up two years later, but Scaldwell escaped such a fate and was saved for preservation to become part of the Brockham Museum collection in Surrey. The museum closed in 1982 and its entire collection, including Scaldwell, was moved to Amberley, where the 0-6-0ST remained unrestored until last year, when ownership passed to the Southwold Railway Trust. It was realised then its No. 1315 worksplate was in fact that of scrapped classmate Lamport.